Product reviews from a haircare professional to help you choose the best products and avoid those which do not perform well. 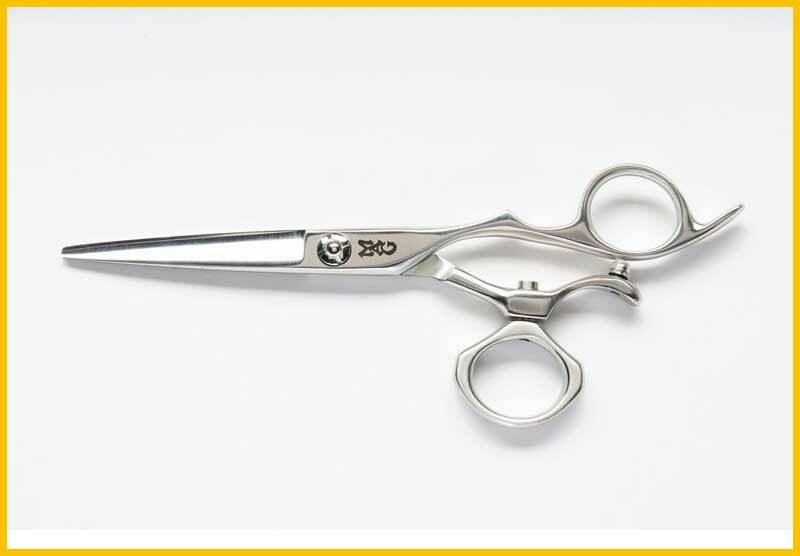 We will help you to take the guesswork out of choosing the right products for caring for your hair and shaving your face. We personally test and evaluate each product and provide our unbiased reviews. 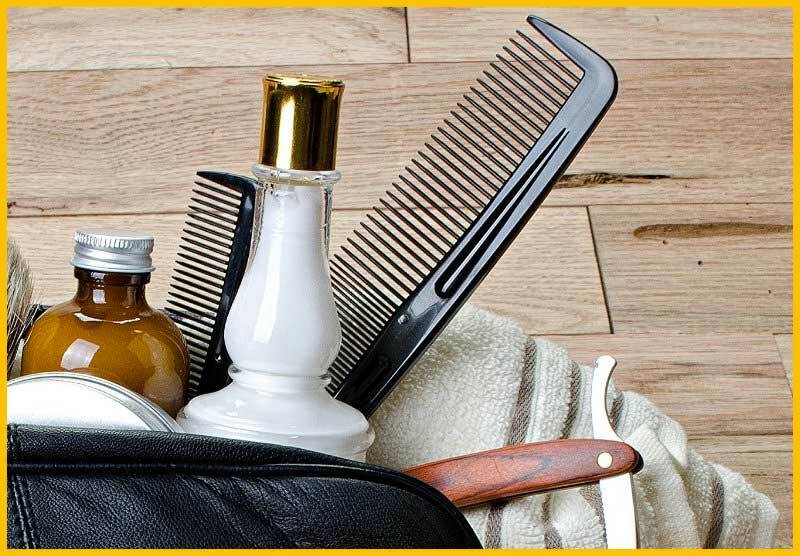 We test and evaluate many popular men’s hair loss products. 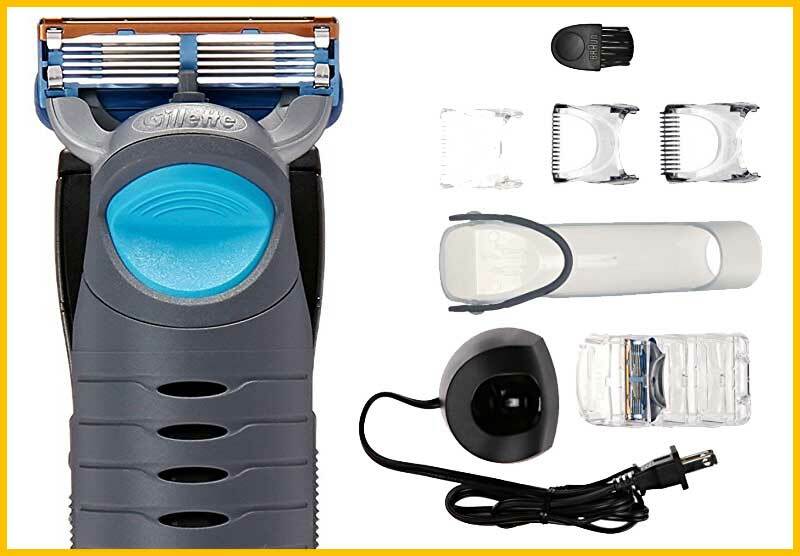 We review razors, shavers, clippers, trimmers, and other products designed for body grooming. We will help you to choose the best products and also avoid the duds. Sometimes More is Not Better – A Review of Nivea for Men Active 3: A Review of Nivea for Men Active 3, a product which unsuccessfully attempts to combine a body wash, shampoo, and shave gel into one product. 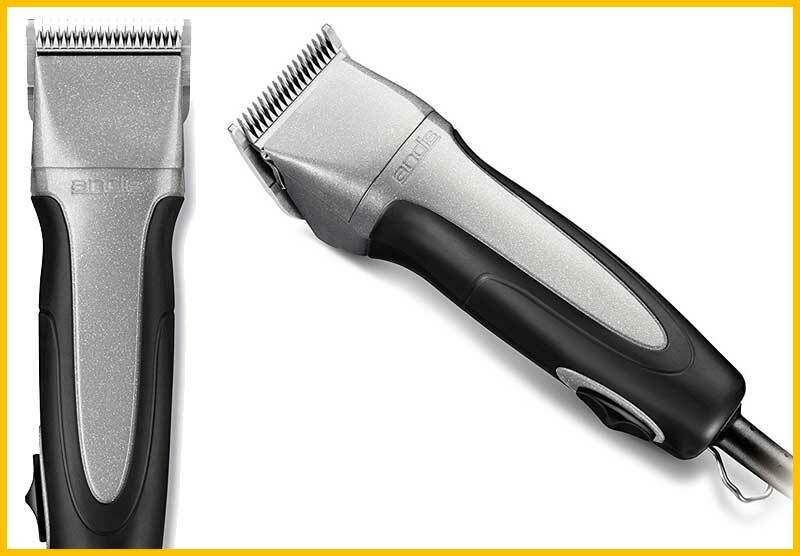 A Review of the Braun Cruzer Body Shaver: A review of the Braun Cruzer Body Shaver, a razor and trimmer combo used for trimming, grooming, and shaving body hair. Reviews of men’s shampoos, conditioners, styling products, and other hair care products. A Review of Axe Hold+Touch Styling Products: This is the Men’s Hair Guide’s review of the Axe Hold+Touch product line. Review of AXE Crew Cut Buzzed Look Cream with Sunscreen: A review of AXE Crew Cut Buzzed Look Cream with Sunscreen SPF 15 — a product which combines hairstyling with sunscreen protection. Five Favorite Men’s Shampoos: Washing our hair is often one of the first (or last) things we do every day and it’s also a critical part of our grooming ritual. The right shampoo can leave your hair looking and feeling great and the fragrance can invigorate or relax you. These are my five favorite men’s shampoos — they’ll leave you clean and refreshed. 10 Great Grooming Gifts for Men: It doesn’t matter which occasion you’re shopping for, a gift of grooming is often a great choice for the man in your life. From shaving tools to luxury shave products to travel, one of these ten great choices should fit the bill. Redken for Men Mint Clean Invigorating Shampoo and Conditioner: A review of Redken for Men Mint Clean Invigorating Shampoo and Cool Finish Invigorating Conditioner. Men’s Styling Products – Review of Gage for Men Styling Products: A review of the entire Gage for Men product line, including shampoos, conditioners, and styling products. A Review of Lucky 13 Styling Products: A full review of the Lucky 13 Barber Supplies brand of styling products, including pomades, waxes, and shampoo. A Review of TOWELDRY Grooming Products: The new TOWELDRY line of men’s grooming products aim to simplify your morning grooming ritual and, for the most part, they live up to that promise. I put the product line to the test and I like what I see. A Review of Redken for Men Clean Spice 2-in-1 Conditioning Shampoo: A Review of Redken for Men Clean Spice 2-in-1 Conditioning Shampoo — a shampoo and conditioner that smells great and is perfect for the guy on the go. A Review of Johnny B. All Over Shampoo: A Review of Johnny B. All Over Shampoo — a 2-in-1 shampoo and body wash that’s perfect for the gym or guy on the go. 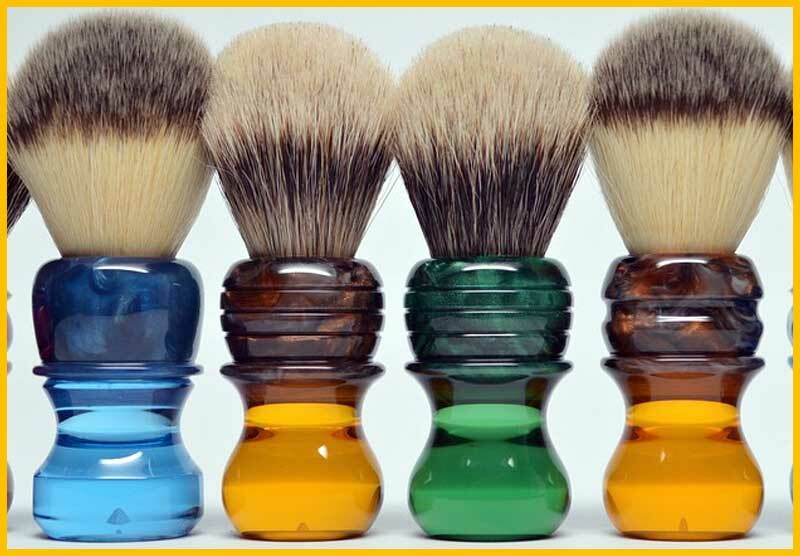 We test and review shaving creams, shaving tools, and after-shave products to help you choose the best products to care for your face and beard. REVIEW: Bluebeard’s Revenge Shaving Cream: A review of The Bluebeard’s Revenge Shaving Cream from the U.K.
A Review of John Allan’s Slick Water Pre-Shave Solution: A Review of John Allan’s Slick Water Pre-Shave Solution — an alternative to pre-shave oil that provides additional lubrication for a closer shave with less irritation. 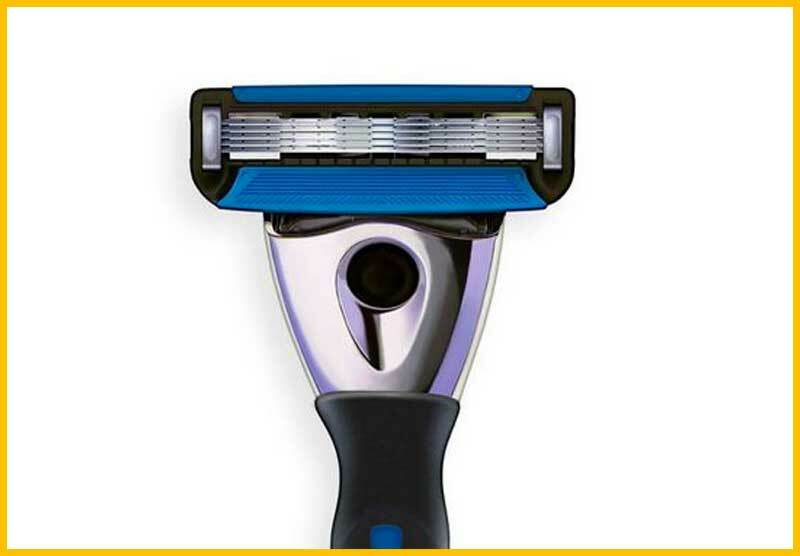 Guys: Upgrade Your Razor: Some may call a $150 razor with a headlight and a vibrating handle a bit over the top, but I call this one great gadget for the bathroom. Lucky Tiger Liquid Shave Cream: A review of Lucky Tiger’s Liquid Shave Cream, a new shaving product from an icon in the men’s grooming industry. 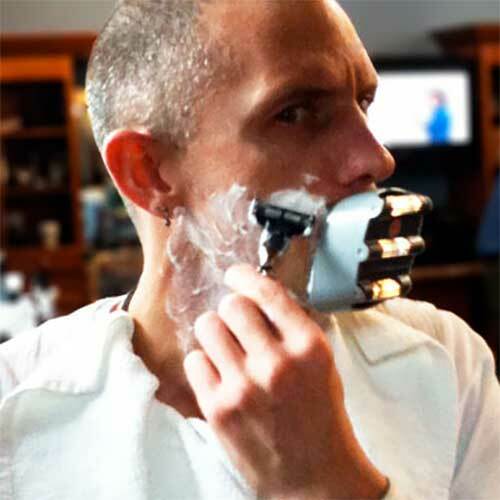 A Review of the Rolling Razor: Since the invention of the disposable razor blade, not much has changed in razor design. 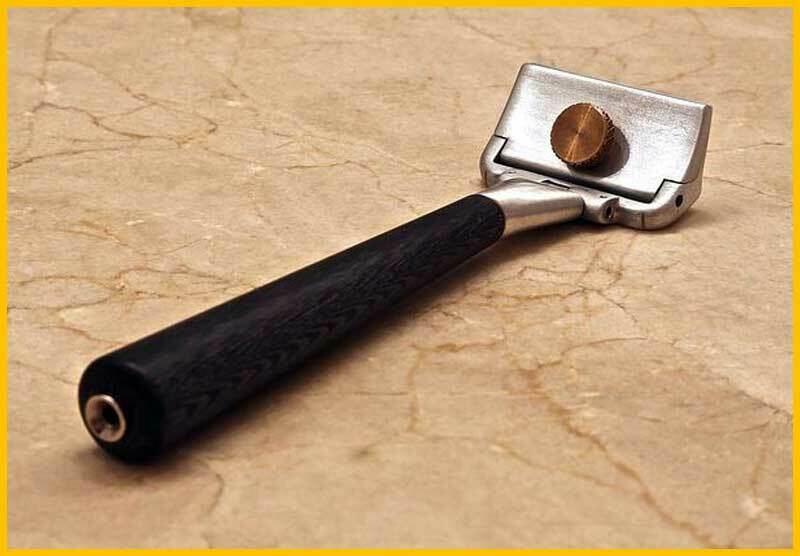 The Rolling Razor from Rolling Razor, Inc. tossed out traditional design and created a razor that’s a radical departure from the norm. This is my review. A Review of Clubman Club Lather Luxury Shave Cream: A Review of Clubman Club Lather Luxury Shave Cream from Clubman, a barbershop staple since 1810. Sometimes More is Not Better: A Review of Nivea for Men Active 3: A Review of Nivea for Men Active 3, a product which unsuccessfully attempts to combine a body wash, shampoo, and shave gel into one product. A Review of The Sideburn Ruler: Trimming sideburns so they are even is a task which many men find difficult. 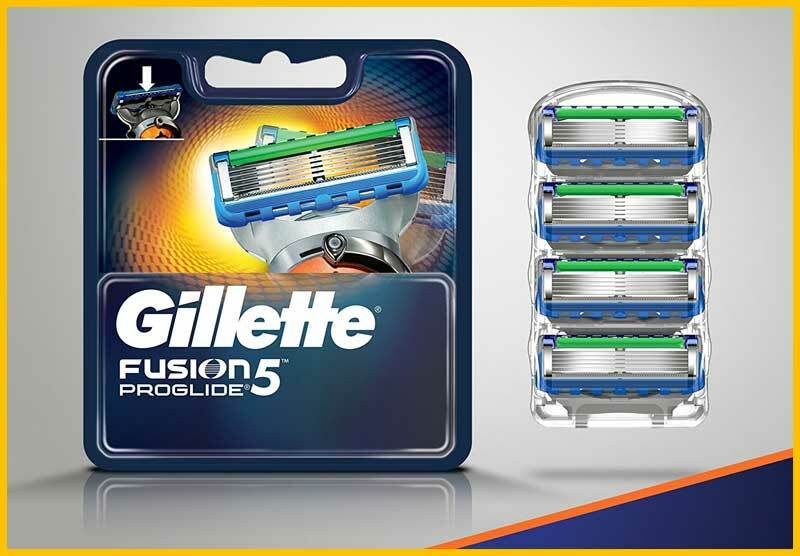 A new invention called The Sideburn Ruler attempts to help men maintain an even ‘burn. A Review of the EverBlade: A Review of the EverBlade, a product which claims to save you money on razor blades and extend the life of your blade by up to eight times. Scrape Your Way to Smooth Skin: This is a review of the Le Edge Personal Exfoliation tool which can be used to exfoliate the entire body and is an option for pre-shave exfoliation. 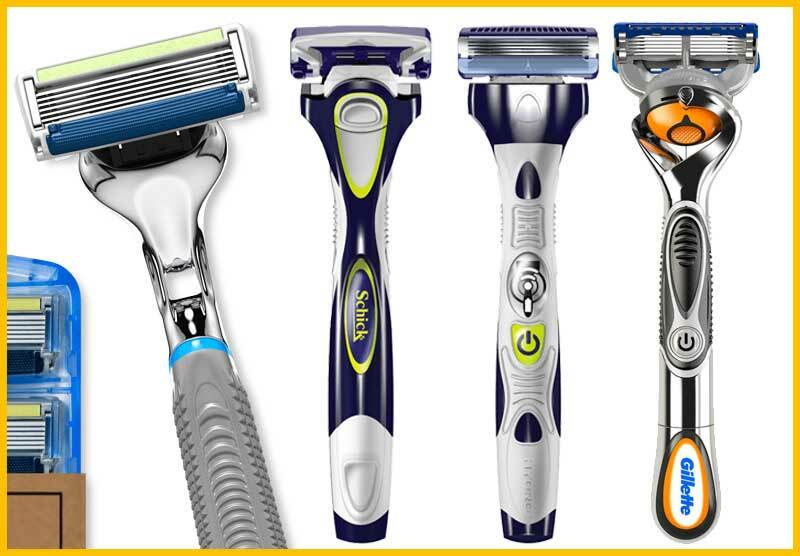 A Review of 800razors.com Men’s 5 Blade Razor: A review of the 800razors.com Men’s 5 Blade Razor, a razor that combines quality and value. 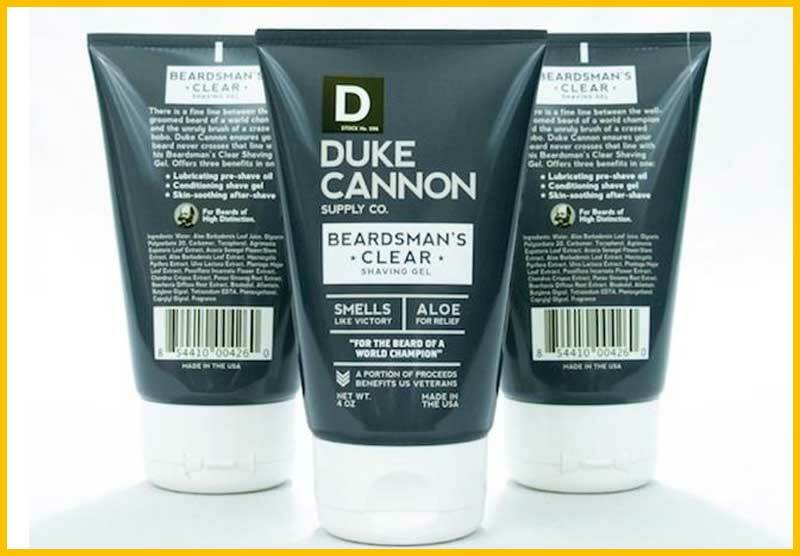 A Review of Duke Cannon Beadsman’s Clear Shaving Gel: A Review of Duke Cannon Beadsman’s Clear Shaving Gel — Clear Shaving Gel for Shaving Around Your Beard. The Perfect Shower Mirror Reviewed! 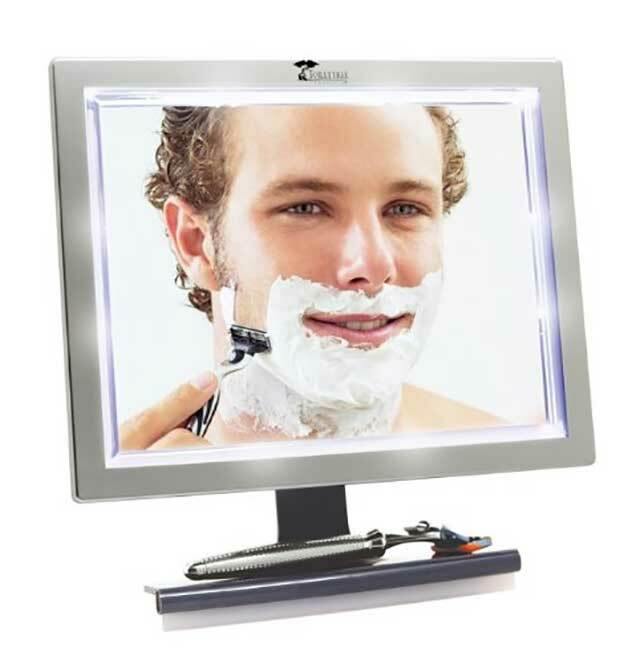 : A review of Toilet Tree Deluxe LED Fogless Shower Mirror, a large, lighted fogless shower mirror that makes shaving easier. The Perfect Shower Mirror Reviewed!